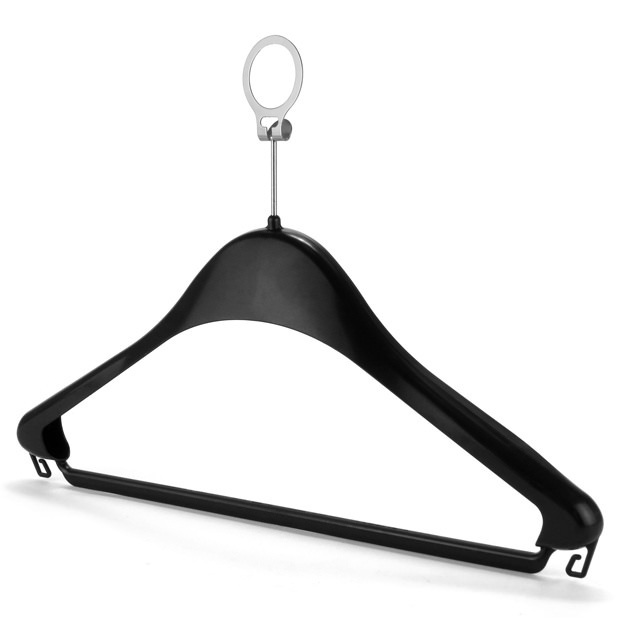 Robust and durable, black plastic security hangers. Ideal for hotels, night clubs, leisure centres, gyms, restaurants, and retail outlets. Wide arms to help keep garments proper shape. Integrated trouser bar and clothes strap and loop hooks. Strong chrome pin which connects to the security ring. Security rings included in the price and sent with every hanger. Must be fitted by removing the wardrobe rail and sliding the rings over the rail before reassembling. Clip-on plastic anti-theft rings can also be ordered. Used when clothing rails are difficult or impractical to dismantle. Sold separately check out our other listing for full specification. Great service, great value, great product. Will be back!